There are two kinds of paths used in a garden. The practical sort that are used for getting people from A - B, such as from the garden gate to the front door. These paths need solid foundations, a generous width, and they should take the shortest possible route. The second type of path are the frivolous kind. These are designed to slow you down, allowing you to dawdle and enjoy the flowers. They need be narrower, winding and more decorative. 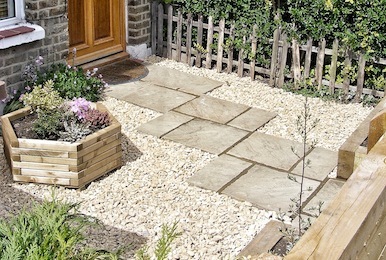 We offer a full design, supply and installion service on all types of garden paths.